June 13th in Premium Themes by Wordpress Jedi . Nightclubs need to have a presence online too. As a nightclub owner, you may have to spend the majority of your time planning and running your business offline. But your website can bring you more leads, help you with your branding efforts, and enable you to build a more solid community around your venture. 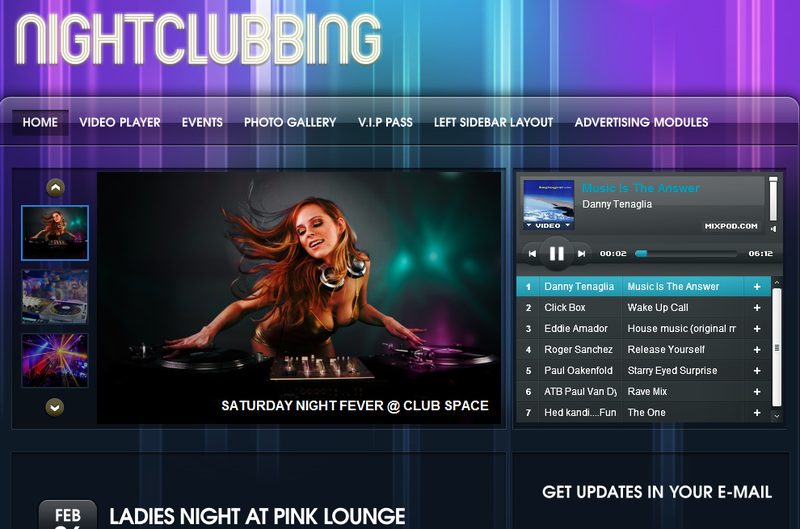 Thanks to NightClubbing theme for WordPress, you can start promoting your business online right away. If you are planning to start an online presence for your nightclub, chances are you want to show your visitors what your business is all about. That includes giving them a taste of the experience they will get at your place of business. NightClubbing Theme has everything you need to do that and more. It comes with an audio/video player that is compatible with YouTube, SoundCloud, ReverbNation, and DailyMotion. This theme includes a beautiful slide-show to promote your top events/stories. 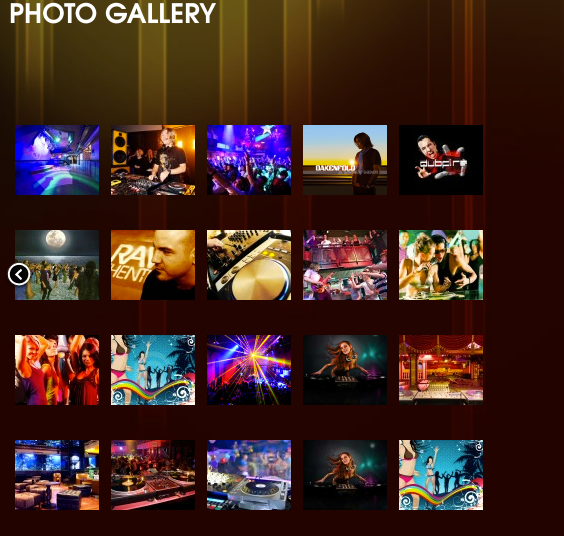 It also has a cool gallery section for you to upload photos from your latest events. 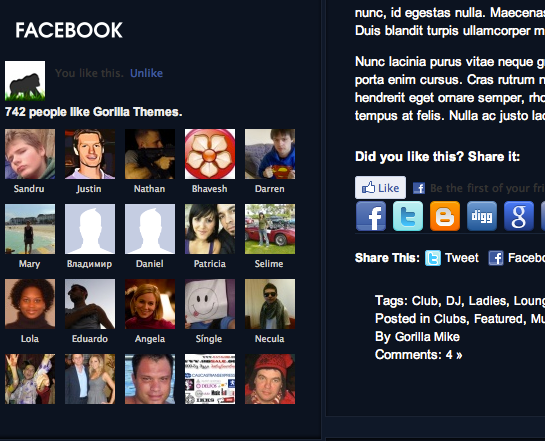 NightClubbing comes integrated with services such as Facebook. 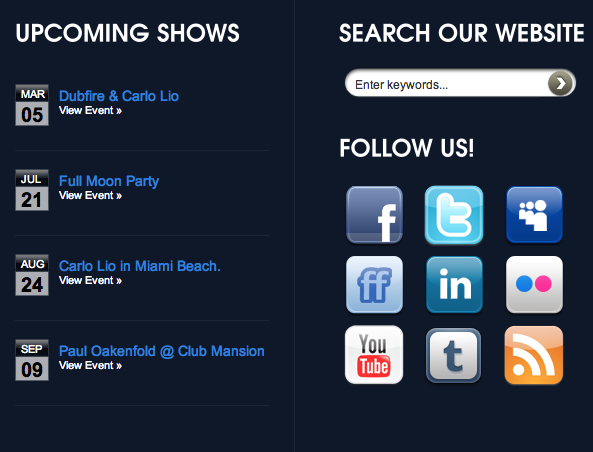 It also has social bookmarking buttons just in case your visitors decide to share your events with the world. Speaking of events, adding and managing events in this theme is quite easy. You get to display your events in the event calendar section in your side-bar and footer. NightClubbing is ad friendly and can be internationalized too. It has 7 color schemes for you to choose from. NightClubbing is designed specifically for nightclubs and music businesses that do the majority of their work offline but want to have a way to connect with their fans online. It can be a time saver for your business.